On the occasion of the then upcoming reissue of The 30th Anniversary Concert Celebration, Rolling Stone magazine named several potential candidates for future volumes of the Bootleg Series. The article quotes a "source close to the Dylan camp", who talks about the "Blood on the tracks" sessions as being a "natural next one". Apart from that the author also names several known but yet unreleased professionally shot concert films that could be published on DVD one day, such as Sydney 1986 with Tom Petty & The Heartbreakers, Toronto 1980, a Rolling Thunder documentary including material from Renaldo & Clara, Fort Collins 1976 ("Hard Rain") and material from the 1978 tour. Well, BOTT is a rather obvious choice if you consider that it's one of Dylan's finest and most personal efforts. BUT: I love the album as it is, the 2003 remastering sounds great. There are no particular studio outtakes that I have been missing and that would have improved the album. It's that kind of album that simply cannot be improved. So in my opinion it doesn't make too much sense to create a volume for the Bootleg Series. Hopefully I'm wrong and we will all be surprised about what they will dig out for us. So, what else is there to wish for? Here is my suggestion in no particular order, let me know what you think. What else would you like to see released? Bob Dylan and The Band recorded over 100 songs near Dylan's new home in Woodstock/NY in 1967. And even though most of those never have been officially released, they changed the style of American Rock music in the late 1960s. Columbia only published a compilation of 24 partially overdubbed tracks in 1975 –eight years later– due to the tremendous impact and success of the heavily bootlegged demos. Wouldn't it be fantastic to hear as many of those songs in restored quality on the Bootleg Series? Update from December 2014: The complete restored and remastered "Basement Tapes" have been officially released as The Bootleg Series Vol. 11 on 6 CDs! In November 1993 Dylan and his tour band performed four shows at New York's Supper Club, an intimate location with a fantastic Unplugged-like set. 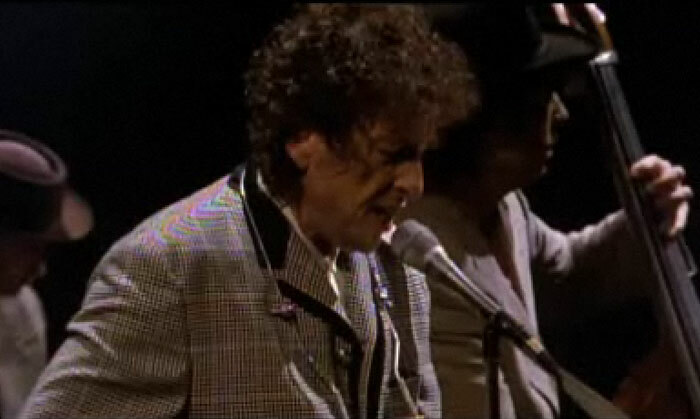 The complete original tapes run about 4 hours, even a pro-shot video has been made, excerpts of which appeared on the "Highway 61 Interactive" CD-ROM in 1995. Soundboard Bootlegs of most songs are circulating, but we need to have the real deal! Dylan-biographer Clinton Heylin said about "Ring Them Bells" from November 17: "The early show performance may well be the single finest moment of the Never Ending Tour." Columbia simply has got to release this material, pleeeeease! Why Infidels? Two reasons: 1) Apart from "Oh Mercy" it's Dylan's best album of the 1980s– and 2) During the sessions with Mark Knopfler, Mick Taylor and Sly & Robbie lots and lots and lots of songs have been recorded and in many cases nearly finalised. Among them a few songs that have later been released on "Empire Burlesque", "Down in the Groove" and "The Bootleg Series Vols. 1-3". And still there is more. So it would be easy to compile a 2 CD-set packed with great tracks for another Bootleg Series volume. Especially considering that the original album only included 8 songs! After the release of "Slow Train Coming" and "Saved" Dylan played 79 concerts in North America ("The Gospel Tour"). At the time Dylan was –yet again– criticized for his new songs that were clearly influenced by his Bible study at the Vineyard Fellowship. The tour was unique in a sense that Dylan for the first and only time in his whole career restricted the setlists to only his new Christian songs, none of his past material was performed. Also in between songs he talked to the audience about his new-found Christian faith. A strong sign to and test for the audience, but the music itself was both performed insanely great and meaningful. The officially relased album "Dylan & The Dead" is often referred to as one of his worst albums. Well, at least it's not one of his better live albums, and it's running short with only seven songs. But the tour offered enough nice performances to fill one more volume for the Bootleg Series. There are soundboard recordings and pro-shot videos of many shows out there, why not compile a best-of selection? Originally my list also included the "Oh Mercy" sessions, but since the outtakes have already been released on "The Bootleg Series Vol. 8 – Tell Tale Signs: Rare and Unreleased 1989-2006" there's no need for that anymore.